Opening your home, as a host, to strangers is one thing, opening your home to strangers to critique the work you do is another. 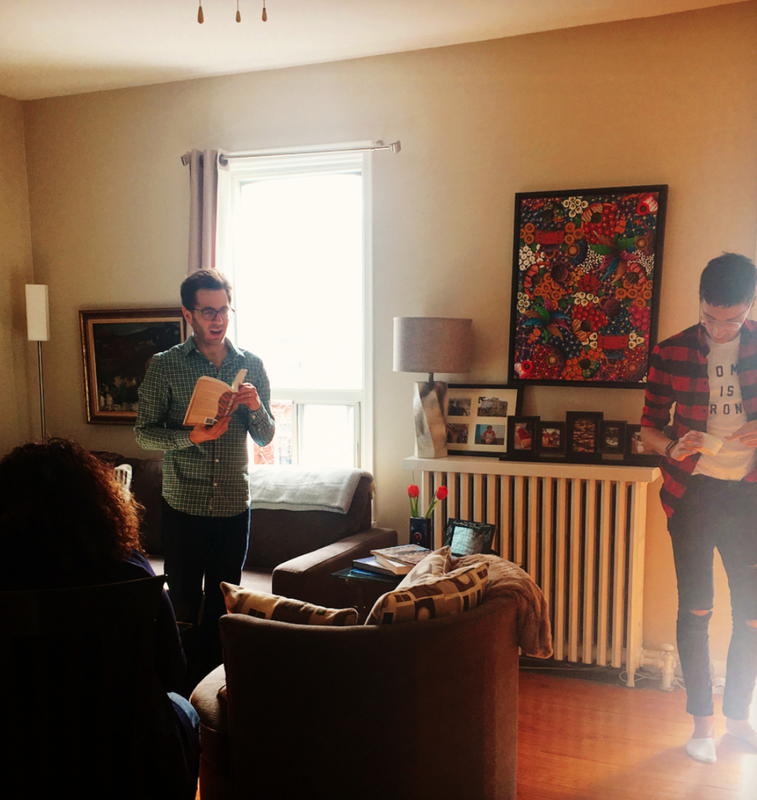 But that’s exactly what Toronto writer Josh Scheinert did when he hosted a book-club-as-Artery-showcase in his living room, earlier this year. His debut novel, The Order of Nature, follows an American college graduate named Andrew who moves to Gambia after accepting an overseas volunteer position. While there, Andrew meets and falls in love with Thomas, a Gambian who, like himself, has been closeted his whole life. At first they believe it’s possible to secretly develop their relationship in an environment with deep rooted prejudices but as their relationship strengthens, and is ultimately discovered, they are forced to confront the reality that their existence and love are considered a crime. We recently caught up with Josh to talk about this own story, why he believes fiction is a powerful tool for human rights advocacy - and how the experience of opening up his personal space and work to strangers has inspired him to continue the format of intimate book review clubs. I’m a lawyer by day and a writer by morning and night. I work in Toronto with a focus on International Investment and Human Rights. I’ve always enjoyed writing, and I’ve written some short pieces, some feature-length writing. The idea for the book came from my time in Gambia working as a law professor. Gambia is a very closed country with very draconian laws surrounding gay sexual activity. Tell us more about the book, and what inspired you to write it. Author as host: Josh Scheinert in his living room during his February 2018 Artery showcase. After returning from Gambia, where I was very in the closet because of the situation there, I started to think deeply about these issues and then wanted a way to do two things: One, was to raise the profile of these issues for readers in countries where this is not an issue, where people might not have an awareness of the extent to which this is going on in too many other countries around the world. Second, was to challenge readers who lived in these countries. I’ve been involved with a number of excellent LGBT advocacy initiatives but one thing that attracted me to doing this through fiction is that I think fiction is an easier, or perhaps less confrontational, way to put new perspectives and ideas and ways of seeing the world in front of people. When you’re dealing with these sort of deeply held beliefs - ie. ‘homosexuality is awful and we can’t accept any gay people in our midst’ - that’s a hard thing to sort of get someone to do a 180 over. With a novel you’re able to really humanize people’s neighbours, people’s children, people’s brothers and sisters and so you see a side of this prejudice that you might not otherwise get to see if you’re only limiting yourself to the world directly in front of you. It’s so easy to close yourself off from the toll that your actions take on others. And I think fiction allows us to get around that. 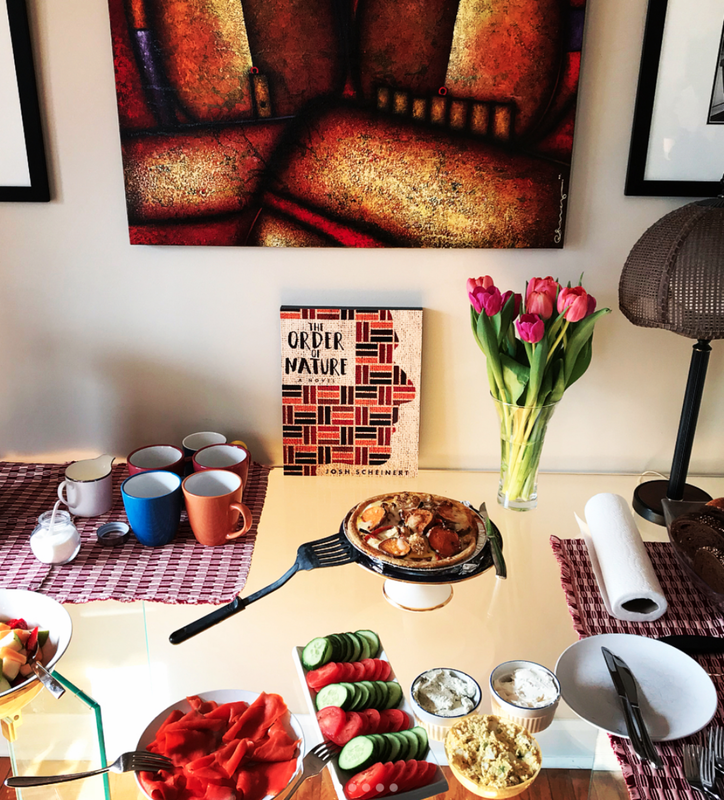 Shortly after your formal book launch you hosted an Artery showcase in your home where you invited people to read the book beforehand and then come and have a discussion. To me, I thought it was a no-brainer. Asking people to read my 370-page book is no small commitment. There was homework involved. Whenever people picked up the book, I’m appreciative of that commitment. There were about eight people who bought the book and spent the time to read it. The least I could do was provide brunch. Most of them were total strangers - a bookclub where no one knows each other! - what was interesting to you about that? What really appealed to me is that it’s a very practical way to get feedback. The interesting thing about writing a book is you spend all this time, years poured into it and then once it’s out there, aside from the odd review or what shows up in the press you have very little knowledge of what actual readers think of the book. So there is that interesting dropoff - you’re on a road and then the road just ends and you have no real idea of what happens next. Hearing what total strangers think from diverse backgrounds - age, gender, employment - has been useful. Were you at all anxious? The uncertainty was kind of exciting. The whole allure was to really allow people to be honest and open and have a discussion about how they reacted to the book and so I wanted to do as little directing as possible of that conversation - that was just my approach, another author I could see taking a totally different approach. What surprised you about the afternoon? I always find it interesting how people want to know more about the writing process. I don’t think I’ve ever had the opportunity to talk to the author at a book club. It’s always interesting to hear people’s questions and I look forward to talking about it with them. A bookclub where no one knows each other. ‘The Order of Nature’ Artery Showcase. February 2018. Now, I’m aware that people might worry about sharing critical feedback. I tried to assuage them so that they feel comfortable sharing their critiques, and telling me what I could have done differently. Pulling that out of people is sometimes a challenge, especially a group of people sitting in my living room and eating my food! But I don’t mind. When people are critical, it means they’re taking the work seriously. It’s exciting to see how people react. What would you say to another author thinking about taking part in a showcase of their own? It’s exciting and extremely helpful. When you put your work out there, you rely on people reviewing them on random websites and the press, but you don’t get to hear what the average reader has to say. You get authentic reactions. I like the book club format. It’s hard to find a random group of people when drawing on your network, so this was a perfect way to draw in from other communities outside of my own. Absolutely - I am hosting the next one in October. Josh's next Artery showcase is happening on Monday, October 1, 2018. Grab your spot here.